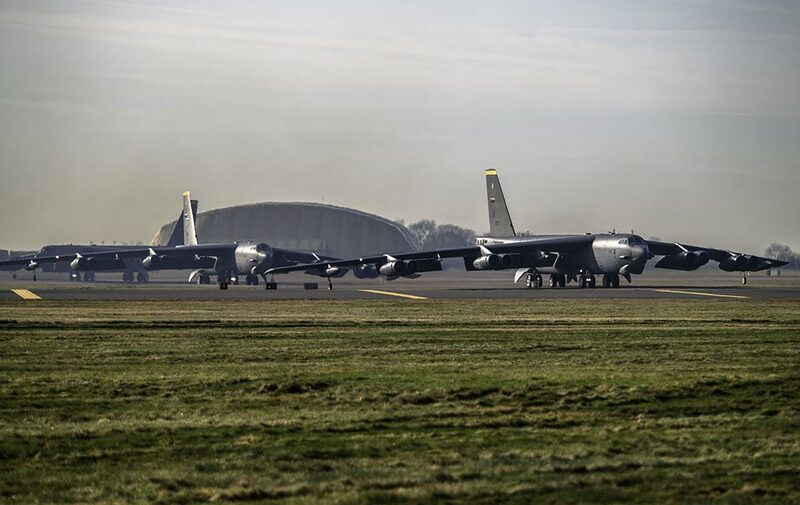 Approximately 300 Airmen, four B-52H Stratofortress aircraft and support equipment assigned to the 5th Bomb Wing at Minot Air Force Base, North Dakota, returned home from their deployment to RAF Fairford, England, Jan. 30. 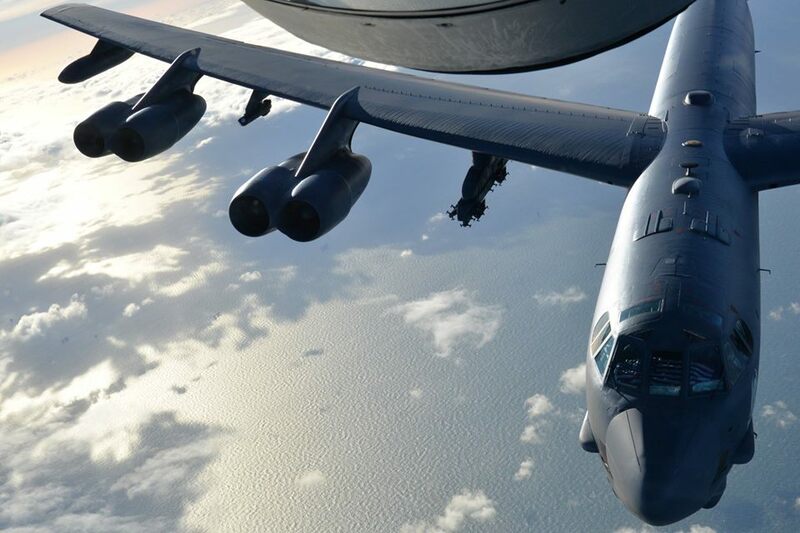 The purpose of the deployment of Air Force Global Strike Command’s B-52s to RAF Fairford was to exercise a state of readiness at United States Air Forces in Europe’s forward operating location for strategic bombers. 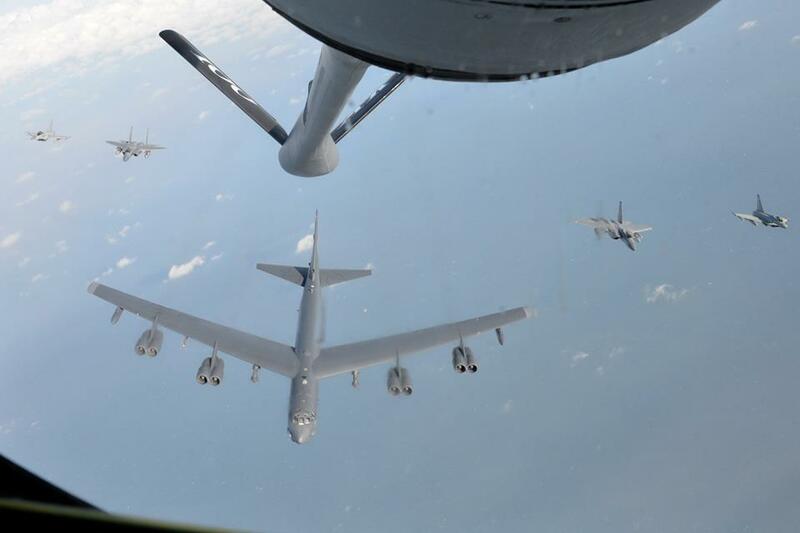 This 2018 deployment of bombers in Europe also included joint and allied training to improve bomber interoperability. The AFGSC bomber presence in Europe is a visual representation of the U.S. Air Force’s ability to utilize long-range, precision air power. 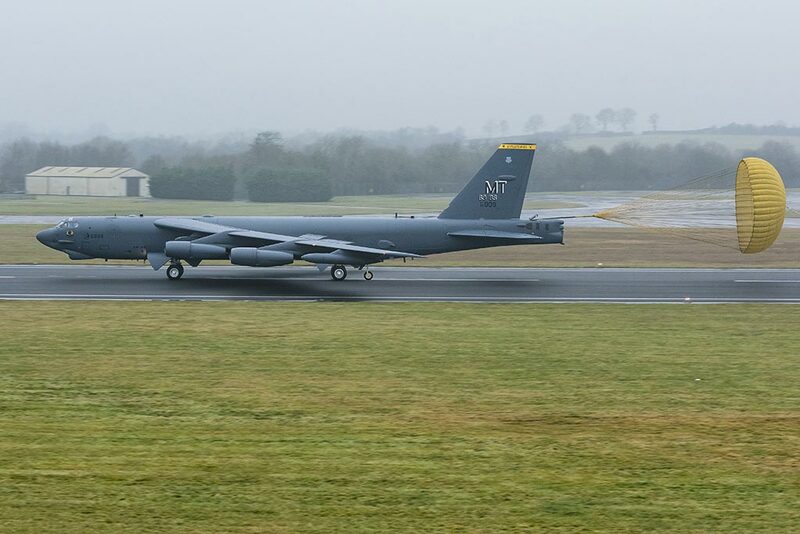 While deployed, the 23rd Expeditionary Bomb Squadron flew 36 sorties without a cancellation, in support of U.S. European Command’s bomber task force. The January 2018 bomber task force deployment included a historic joint-effort between the Bomber Barons and Lithuanian special forces. “We were honoured to be the first aircraft to employ inert air-to-ground munitions in Lithuania, controlled by Lithuanian joint terminal attack controllers”, said Maginness. In addition to the aggressive operations tempo, 23rd EBS Airmen undertook multiple engagement opportunities to include hosting civic leaders and local aviation enthusiasts clubs, as well as meeting with senior leaders from the U.S. Air Force and the Royal Air Force. “The U.S. has a long history of operating Eighth Air Force bombers out of the U.K.,” said Maginness. “It’s fitting that in 2018, we are still integrated with our great partners, the British, operating Eighth AF bombers out of RAF Fairford”.